Welcome to an entirely new standard of gracious senior living that offers a wide range of care for residents in one convenient, modern, comfortable and elegant setting. 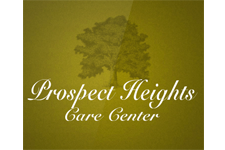 Prospect Heights Care Center is the premier healthcare facility located in Hackensack in the heart of Bergen County. Prospect Heights offers an array of medical services to meet individual needs. Our luxurious seven-story building, with spectacular views of New York City, enjoys a fine reputation of superior customer service. With its state-of-the-art accommodations, skilled medical staff and 5 star amenities, Prospect Heights stands out among other healthcare providers in the NY-Metropolitan area.